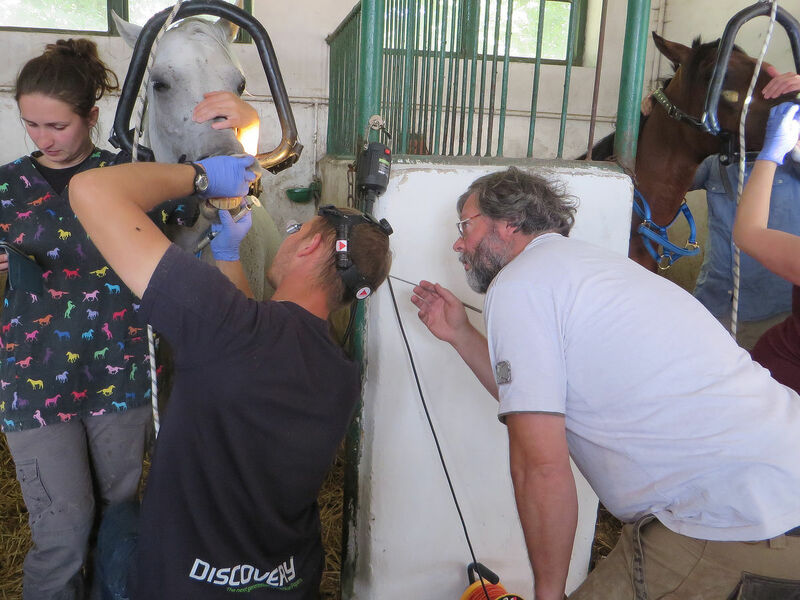 Today, horse dental problems are more effectively detected than ever and can be treated better due to intensive specializing. 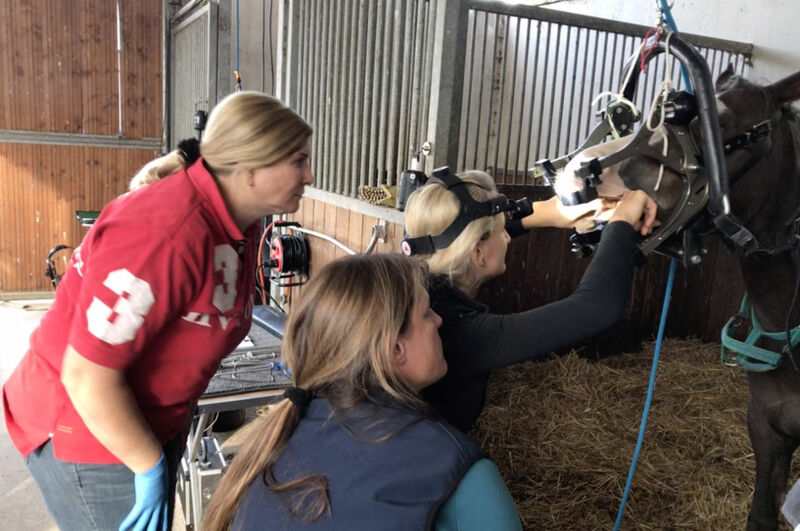 Dental malfunctions, which could affect the sound- ness and the locomotor system of ha horse in a negative way, can be avoided. 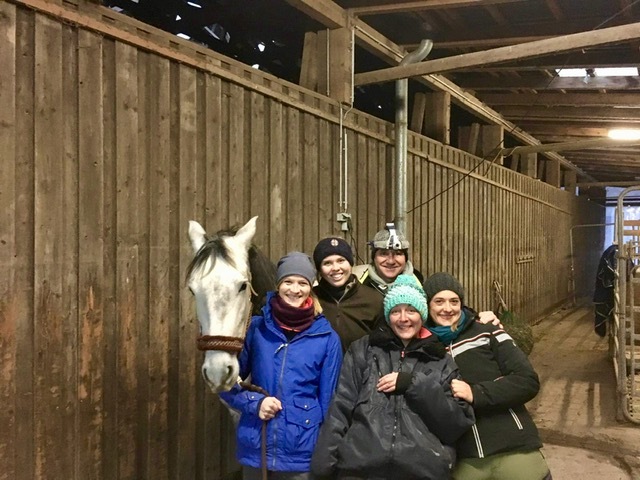 By applying the results of modern research in practice as well as by prophylaxis the horse’s quality of life is guaranteed. Our teachers have decades of experience at their command. 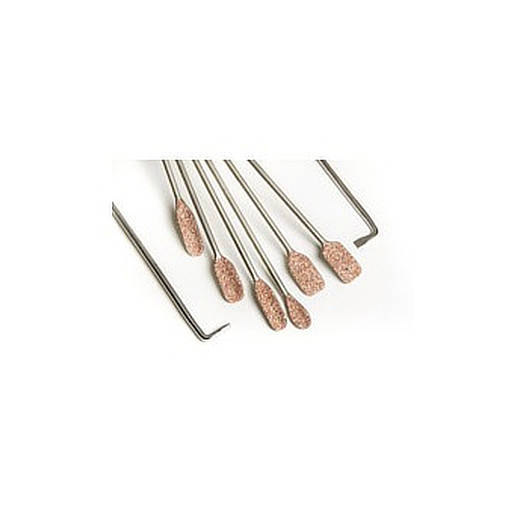 Their innovative ideas are helping to develop the most modern dental tools. 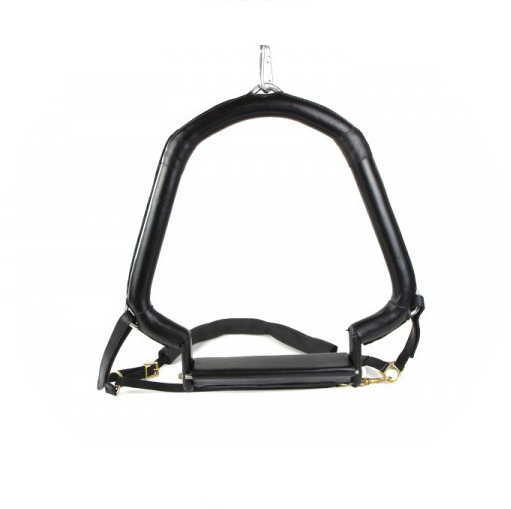 This offer is aimed at veterinarians as well as horse dental practitioners. The program is suitable for both, beginners and advanced participants. 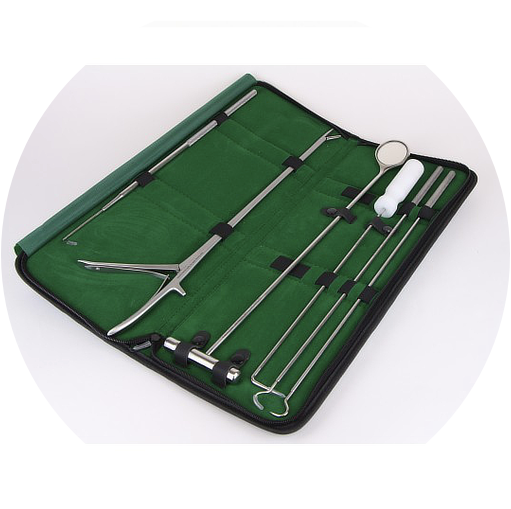 Suitable dental tools and instruments are important for a good education. 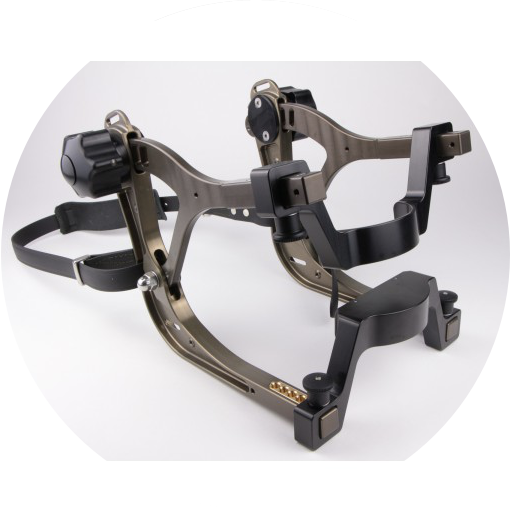 We willshow you how to handle and maintain your equipment and give advice on the required basic hardware. 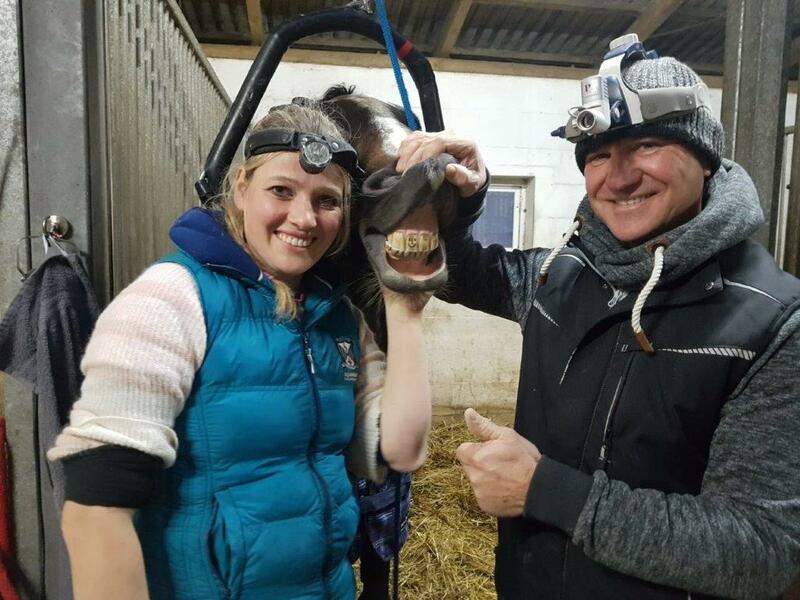 Our co-operation partner for horse dental tools is the PZ-Technik GmbH. 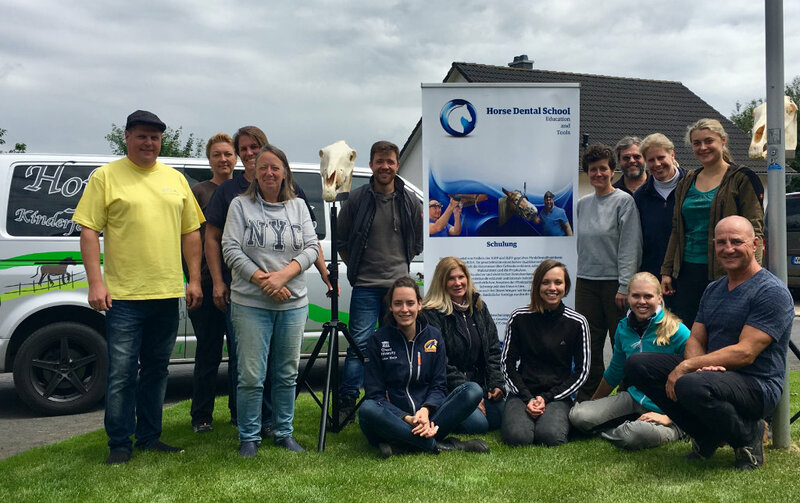 The training is carried out by examiners of the IGFP and horse dental practitioners (PferdeDental Praktiker®), certified by IGFP. 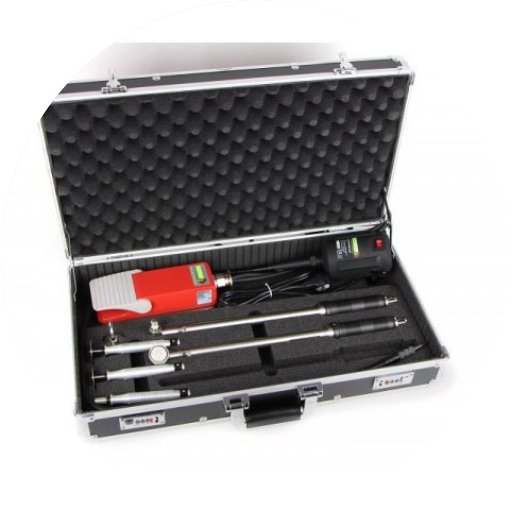 They guarantee a high-quality standard. Dental knowledge will be deepened by facts on dental corrections, dental and oral maintenance and prophylaxis. 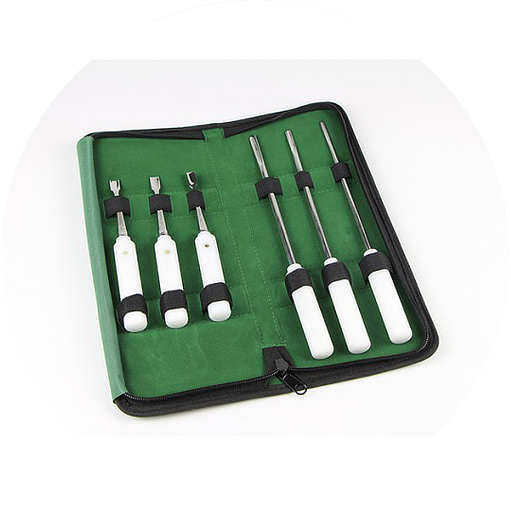 The operation of mechanical and electric dental devices will be intensely taught. 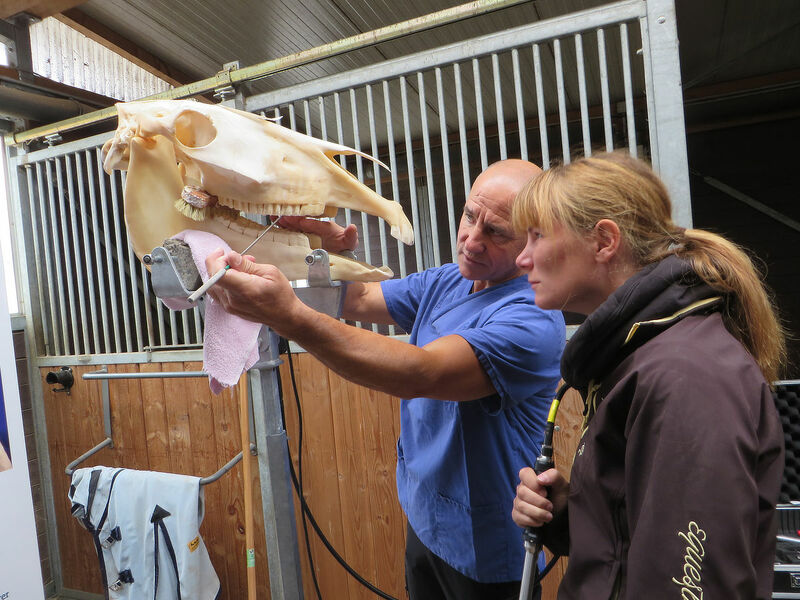 The lessons also focused on a holistic approach to horse dentistry. 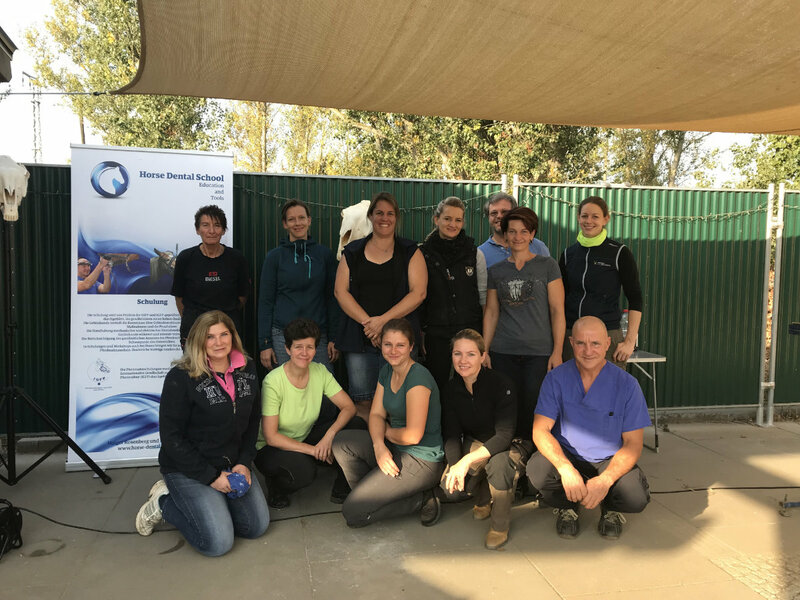 Training lessons and workshops will keep you up to date about the newest developments in horse dentistry. Additional lectures round out the program. 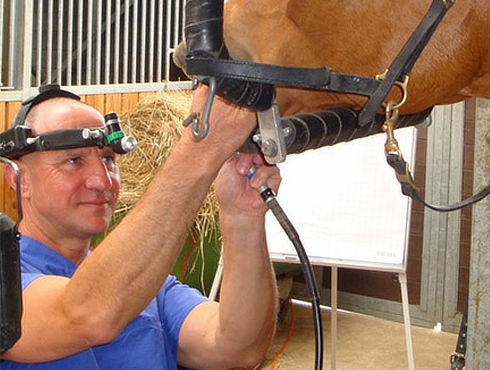 I have been specializing in horse dental treatment since 2004. 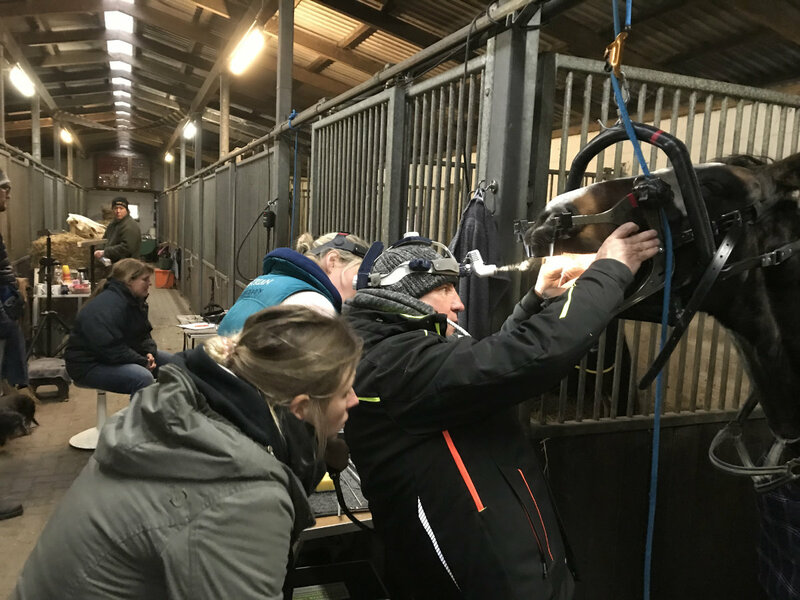 My technical knowledge as well as the training as a horse dentist and my horse dental practitioner exam following IGFP in October 2005 are helping me with my commitment to my work as a horse dental specialist. My personal aspiration is to have my abilities checked and optimized by attending routinely advanced trainings and workshops. 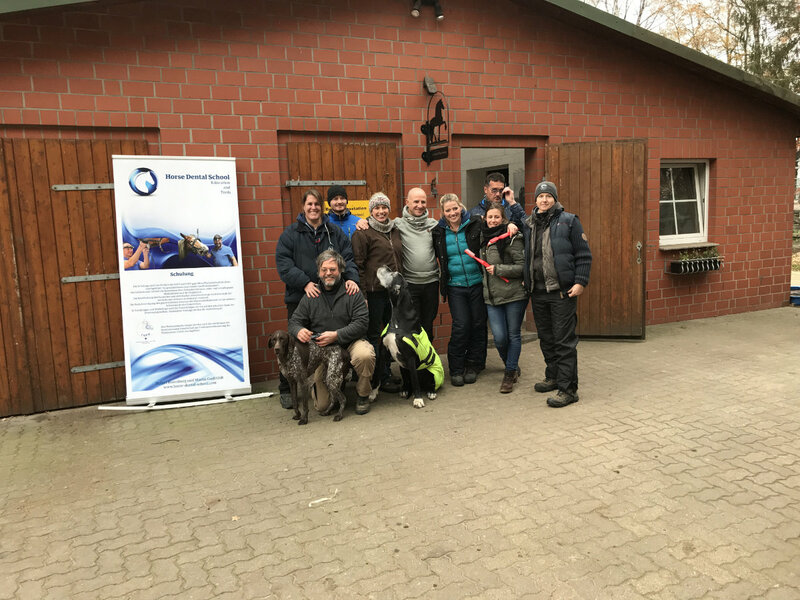 Since 2000 (attending a workshop with Luis) I have been intensively specializing in horse dentistry and the correlation between horse dental diseases and disorders of the horse’s body in general. I have also been conducting trainings and workshops on this topic for 12 years. I’d like to tell you about an absolute success! 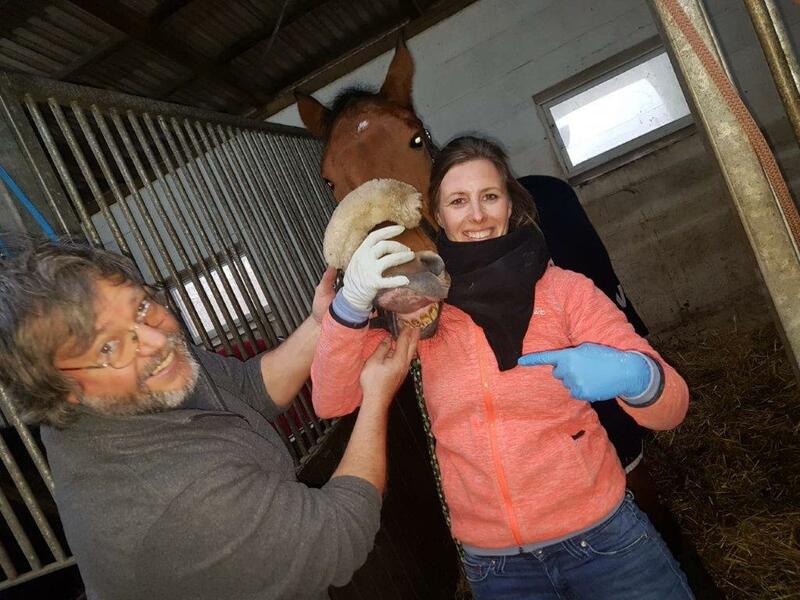 Last week I treated the teeth of one of our guest horses. 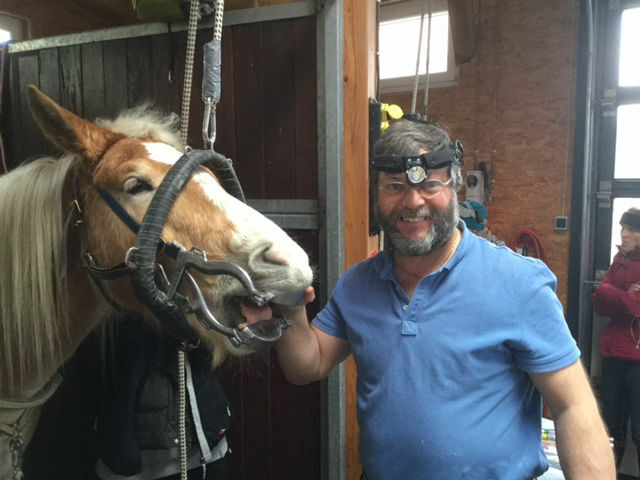 The owner and the horse were seriously traumatized after the last treatment and especially by the sedation. Back then the vet used 5 ml Domo(!!!) plus 2 sedivet and 0,7 buto. However, it was still a fight, and the horse was sick for the following 4 days. Thus, I took it easy and sedated normally. The horse stood well and stood its ground! I let music play in the background and did my work. Of course, I started with the incisors. The owner was surprised, because she didn’t know it that way. I frequently closed the mouth gag and rinsed. The owner was very delighted, and the horse co-operated well. It needed some extra sedation, but only a fractional amount of the last one’s. Everybody was very happy including myself! So, I really want to thank you again for the great training. Here, everybody could see what a difference it makes to be a skilled worker! Neither horse nor rider got traumatized again, and both of them are feeling better now. Before, I once used the old mouth gag. It was horrible … never ever again! 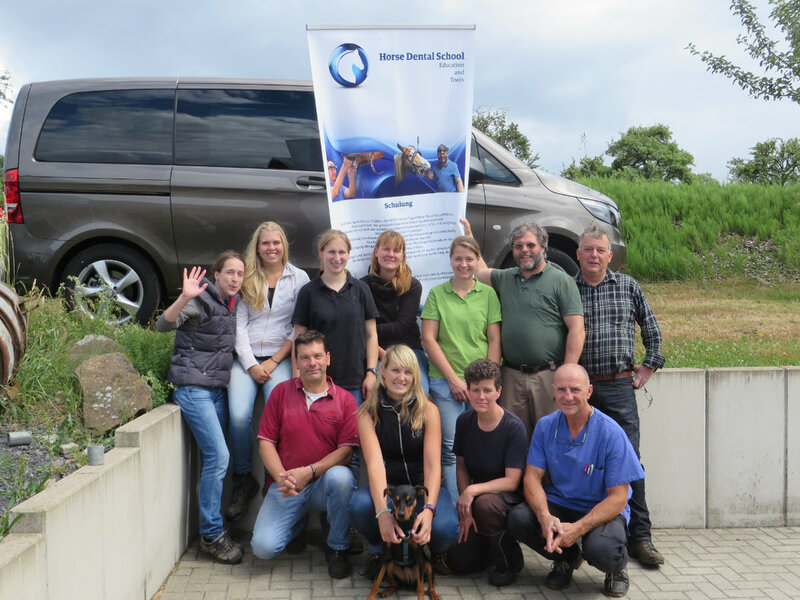 To enroll for one of our trainings, please send us an E-Mail to info@horse-dental-school.com. Shortly after submitting you will receive a written confirmation.